*I was provided with Pork Chomps products in return for this post. All opinions are my own. My dogs are 8 and 9 years old, so while their super chewy puppy days are long gone, they still appreciate a good chew now and then especially when they are feeling a bit anxious. 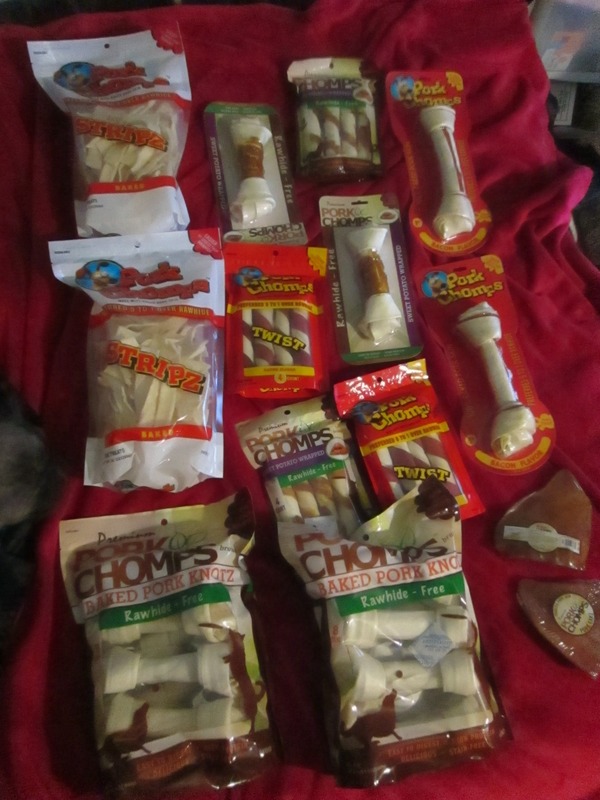 After learning that rawhide is really difficult for dogs to digest and can lead to blockages, I started looking into other options. 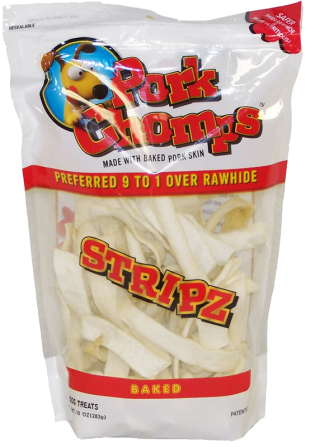 Pork Chomps is a company that makes rawhide free chews for dogs that are two times easier for dogs to digest compared to rawhide. They offer a lot of different products, including two main categories – traditional and premium. 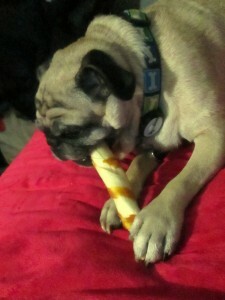 My pugs Frank & Beans were able to try out a few products from both lines and are now Pork Chomps fans for life. 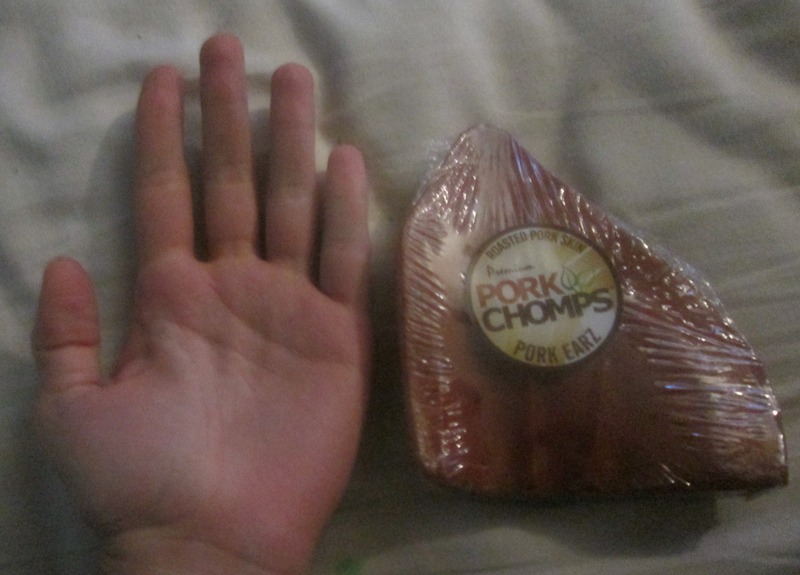 Pork Chomps products come in a range of sizes making them suitable for lots of different sizes of dogs. Part of what we were sent was Knotz that my dogs could get their mouths around the center of, but not the ends. If they were more aggressive chewers these would have worked just fine for them but they chewed on one a couple of different times over a week or so and then gave up. I think it was taking them too long to get pieces off to keep their interest as I’ve noticed they get bored with chews if they don’t get pieces off after a while. 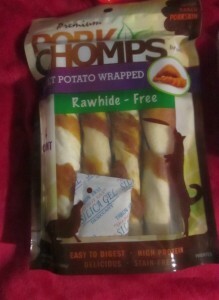 So I gave these to my brothers medium sized dogs that are much more active chewers and they loved them. Everything else that we were sent was perfect for Frank and Beans’ size and chew level. The Twists and Rolls are both “swirly” shaped so they unravel in a spiral type shape which takes a while for my dogs. The Twists would eventually split into two pieces and then both pieces hung around for a while before finally being eaten. 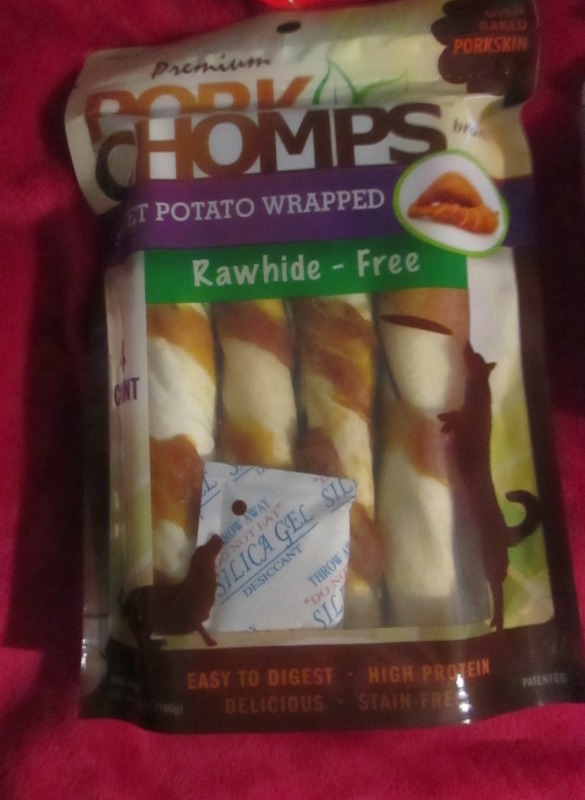 I was impressed iwth how long these lasted, as each roll lasted about as long as a 6″ bully stick does for my dogs which is about 3 days/3 chew sessions – much longer than a rawhide roll of the same size. Beans seems to really like the flavor of all of the Pork Chomps products, but the Twists she would even take over a bully stick when offered both at the same time. So they’re a huge winner with her in particular. While we really liked the Twists and Rolls, my personal favorite was the Stripz. These are thin strips that probably range from 1/3 of an inch to 3/4 of an inch thick and 3 to 6 inches in length. They require chewing to soften them before they can be consumed. 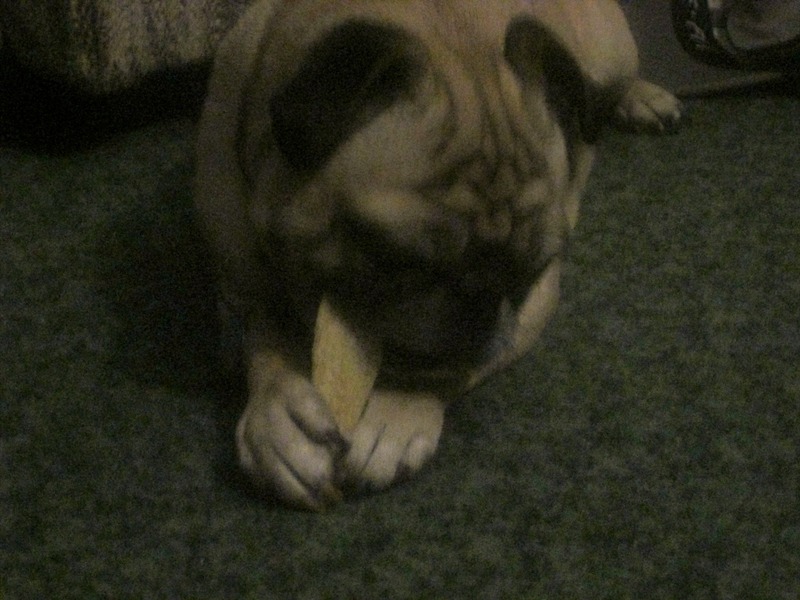 For my pugs they last probably 20 minutes if they sit and eat it in a single setting but sometimes they walk away before it’s finished and then they dry out and when they come back to chew it takes a while to soften again. They are great little chews for using as a distraction if my dogs are anxious for some reason (a storm, a visitor, etc) without committing to giving them a huge treat that lasts for days. I guess you could say they are a good “portion control” chew for us. It seems like we’ve used them a lot but we still have a lot left as there are so many in each bag. I’ve loved having these on hand and definitely plan to purchase them in the future. Last but not least, we were able to try out some Earz. They aren’t actually made from ears but pigskin. They are of good size and they are thicker than the actual ear products we have tried before. My dogs were really interested in the smell of it, but it kept getting laid flat against the floor and then they’d scratch at it over and over because they couldn’t manipulate it with their paw to get it to move so that a corner would stick up so they could chew on it. I’d help them position it and just a few minutes later it would fall again and they’d need help again. So it took a lot of help from us humans but they did enjoy it. After really enjoying the Pork Chomps products that we were sent, I’m eager to try out the rest of what Pork Chomp offers such as their drumsticks, Chipz, and Crunchy Bones. 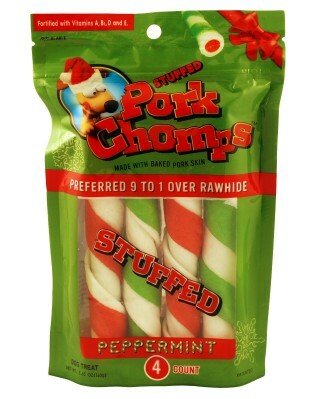 Pork Chomps even has a holiday line out if you’re looking for a super festive gift or stocking stuffer for your dog! You can connect with Pork Chomps on Facebook and Twitter. 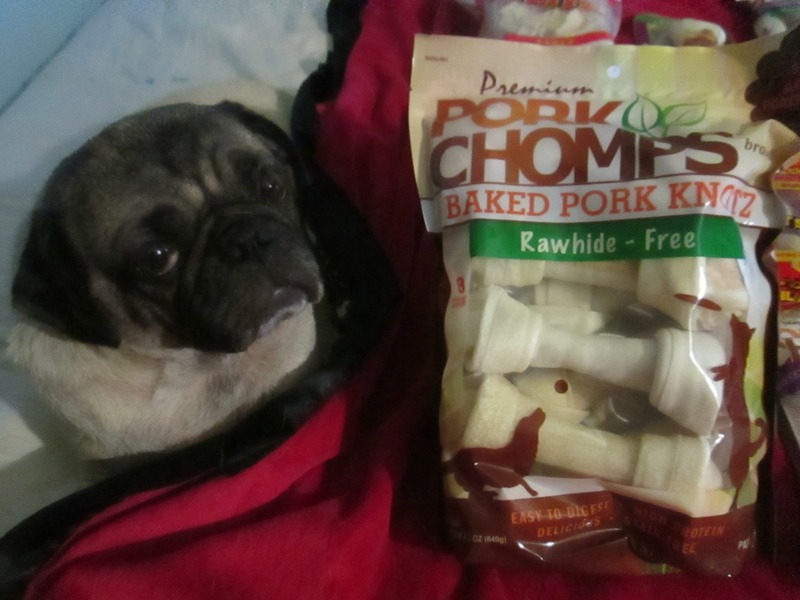 Win it: Two winners will each get two bags of Pork Chomps products for their dog! 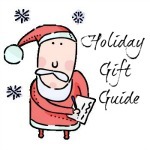 To enter: Fill out the Giveaway Tools form below by 11:59pm EST on 11/30/2013. Giveaway is open to the US. I like the Assorted Mini Peppermint Knotz and Twistz. I look forward to getting my 10 year old “Chug” a bunch of the stick twists. These are “Monkey”s favorite rawhide shapes. I know he’ll love them, since he loves anything to eat.